In life, there are only a few investments that we'd consider truly major ones—and buying an engagement ring is one. While most of the time it's just one partner who will be doing the purchasing, there are a few modern pairs out there who are willing to split the cost—and even if you're not, wouldn't it be nice to help lessen the blow of that investment? We hunted down seven tricks that will help you save money on your engagement ring while you're shopping around. From the right stone for your price range to the metal that will give you the most value for your buck, these are bound to be helpful tips to help you find the right ring for you at the right price. Keep scrolling for seven ways to save money on your engagement ring—and to shop some of our favourites now! If you want the best bang for your buck in your ring, yellow gold is the way to go. "Gold provides the best value. Prices have steadily risen over the years, so it's a good investment metal but more affordable than platinum," Andrea Novella of Gemma Jade Jewellery told investment site WiseBread. While the allure of a big rock on your finger isn't exactly something we need to explain, in reality, it's the sparkle of a stone that makes it so special. A tiny, incredibly reflective stone will catch the eye and even look bigger than a giant stone that's dull. Shoppers often place way too much importance on the clarity grade of a diamond, when in fact its clarity is not perceptible to the naked eye. "Ask for an 'eye-clean' diamond, rather than 'flawless.' 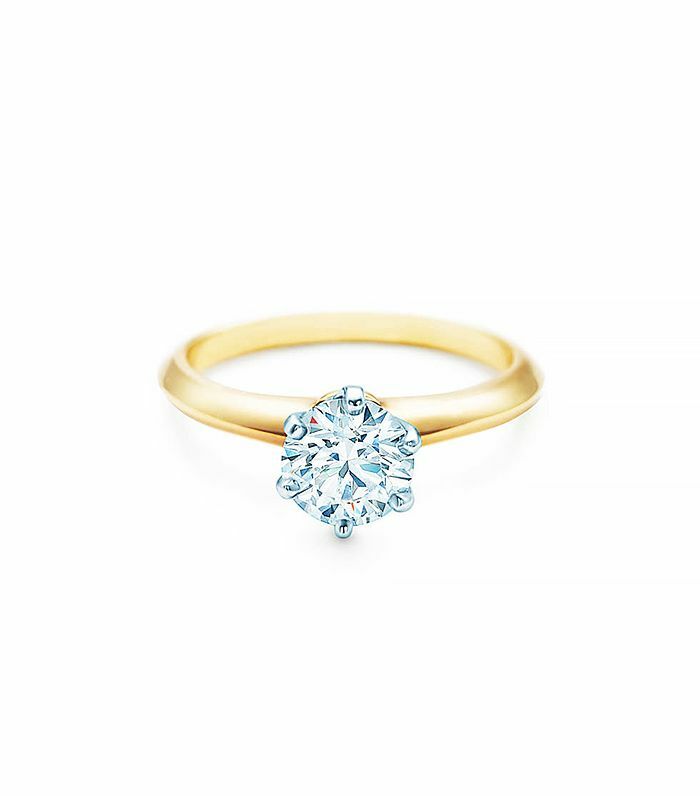 Most so-called 'flaws' occur naturally in diamonds and can't be viewed by the human eye—no one will see what it is you're paying so much for," jeweller and Blue Nile spokesperson Josh Holland told Business Insider. "To achieve the best value, consider a near-colorless (graded G-H) instead of a colorless (graded D-F) diamond or a VS2 (Very Slightly Included) clarity grade as opposed to a Flawless clarity grade." A halo setting around the center stone makes it look bigger and sparklier than if you go with a larger single stone set alone. The smaller pavé diamonds set around a smaller center stone will save you money over picking a large solo center stone. Because vintage rings feature diamonds that were mined years ago, you cut out the labour costs that often contribute so much to the price of modern-day rings. Plus, vintage jewellery is in, so you don't have to worry that your ring will look antiquated. Despite an increasingly diverse ring market, classic round center stones are still the most in demand. If you opt for a less traditional shape, like a princess or marquise cut, you are likely to pay much less. Believe it or not, elaborately detailed prong settings can end up adding a lot of cost to your ring. Instead, opt for a bauble with a simple and straightforward prong setting—less metal equals less money. How did YOU save money on your engagement ring? Tell us below!